Synopsis: A continuation of the saga created by George Lucas and set thirty years after Star Wars: Episode VI – Return of the Jedi. 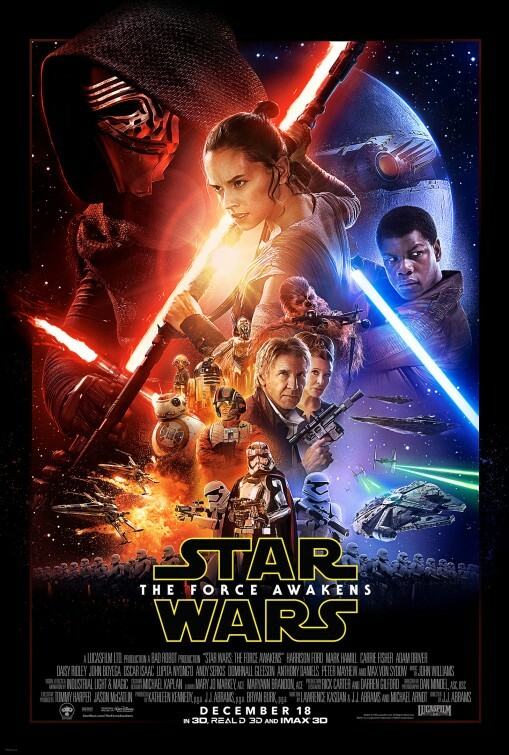 Review: Hey all you spoiler-phobic Star Wars fans…you’ve come to the right place! Have no fear, I’m not going to reveal any major plot points or ruin any of the surprises that director J.J. Abrams (Star Trek, Star Trek: Into Darkness) has in store for you. So I’m going to give you two reviews…one that is as spoiler-free as can be and another that will be slightly more descriptive (but still without any key points you aren’t already aware of). Are you ready? OK! The wait was worth it and Star Wars fans finally have the sequel they’ve been waiting for since 1983’s Return of the Jedi. 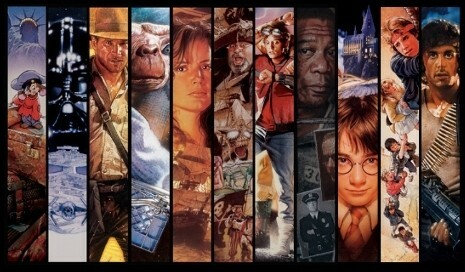 The effects are marvelous, the script tight, and the score by John Williams returns the sound of the series back to its grandly epic origins. 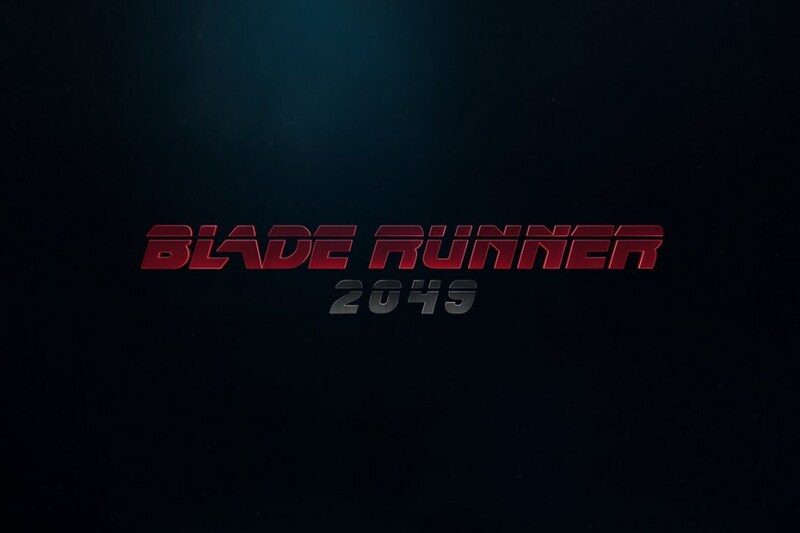 In short, it’s a film that knows where it came from and has a vision for the future. 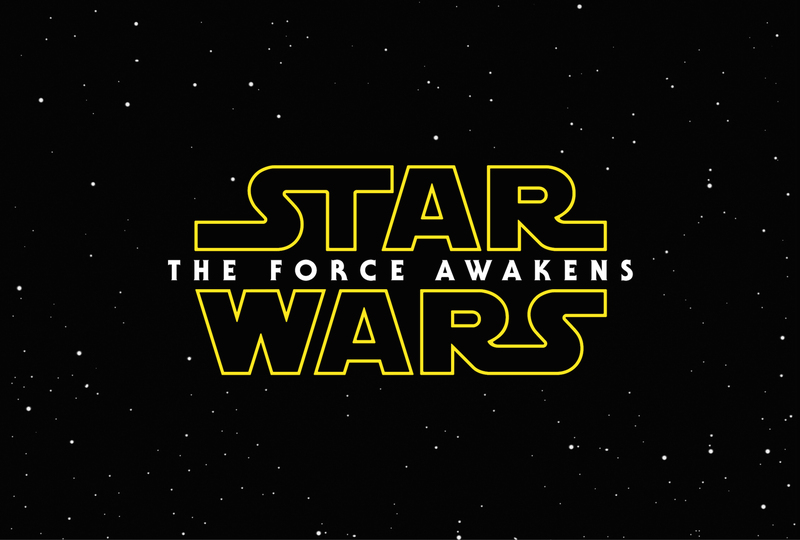 Now…for some more descriptive musings on Star Wars: The Force Awakens. There’s a moment in the silent moments before Star Wars: The Force Awakens begins when my heart started to beat a little faster, my breath started catching a bit. After all this time, a direct sequel to the original trilogy of the operatic space odyssey created by George Lucas was waiting mere frames away. The time to hold grudges against the weak prequels vanished when those familiar words came up on screen… “A long time ago in a galaxy far far away…” and then…the logo, the music, the opening crawl that lays out what’s been going on since we last saw Luke, Leia, Han Solo, and other creatures great, small, or mechanical. I gotta admit, I had goosebumps from the tips of my toes to the top of my head. With the Sith destroyed and the Empire fallen, a new enemy has surfaced that threatens the peace the Resistance has tried to bring to the galaxy. The First Order has risen from the ashes of the Empire with a new leader (Supreme Leader Snoke, Andy Serkis, Dawn of the Planet of the Apes), a new General (Hux, Domhnall Gleeson, About Time), and a new commander (Kylo Ren, Adam Driver, Frances Ha) strong with the force with ties to Darth Vader. The First Order is searching for a warrior gone missing, tracking an ace pilot for the Resistance (Oscar Isaac, A Most Violent Year) to a planet where he’s meeting with an elder (Max Von Sydow, Extremely Loud and Incredible Close) who holds a key to the warrior’s whereabouts. In a nice tip of the hat to the original Star Wars, this important piece of information is hidden within a droid and soon finds itself in the hands of Rey (newcomer Daisy Ridley), an otherwise ordinary civilian that must travel from her planet via a familiar ship long since left for junk. Accompanied by defecting Storm Trooper Finn (John Boyega) before being joined by Han Solo (Harrison Ford, The Expendables 3) and Chewbacca (Peter Mayhew), all are thrust into an adventure that hops planets and light years. When Disney bought Lucasfilm Ltd (thereby acquiring the rights to the Star Wars franchise) for a cool $4 billion there was a general discomfort that the House of Mouse wouldn’t do right by the characters. But Disney has delivered, and delivered in a big way. The $200-million-dollar film looks amazing with top-notch special effects seamlessly blending with live action to create 135 minutes of thrilling sequence after thrilling sequence. Not all thrills come from special effects though; just try to stave off the chills of hearing John Williams stirring score or deflect the rousing excitement of Han Solo reuniting with Princess (now General) Leia (a marvelously sanguine Carrie Fisher). When Ford and Fisher are on screen together the decades absolutely melt away and screenwriters Lawrence Kasdan, Michael Arndt, and J.J. Abrams have wisely kept their banter appropriately campy and fun. Ford in particular looks like he’s having more fun on screen then he’s had in years, reminding us why he’s a movie star. Speaking of stars, Abrams has impeccably cast the film’s two leads with Ridley being the clear stand-out. Reminding me of a younger Keira Knightly, Ridley ably handles the range of her arc which puts her in numerous precarious situations. Boyega, too, is a welcome presence and while early on the actor tries a bit too hard, he’s redeemed by the end once he relaxes into the role. Both actors bring an energetic vibrancy to the screen, we’ve just met them yet we’re on their side from the beginning. They mesh nicely with the returning cast members and other new faces (including 12 Years a Slave Oscar-winner Lupita Nyong’o as a kind of next-gen Yoda), making this an easily accessible film for longtime fans or those new to the franchise. If I had one gripe, it’s a small-ish one and it has to do with the Serkis’ realization of Snoke. The one effect that comes off as too CGI, I wished that the larger than life baddie was introduced on a more practical level instead of being motion-captured to the high heavens into a shadowy evil from the Dark Side. Still, it’s a small complaint for a film that’s overwhelmingly enjoyable. Before seeing this seventh episode of the Star Wars saga, I was planning on re-watching all of the films (which I hadn’t seen in, gulp, nearly a decade) to bone up on the story up until this point. Time constraints made that impossible and in a way I’m glad that I hadn’t inundated myself with previous installments because it helped me take in The Force Awakens for what it was, the beginning of the next chapter of Star Wars. And what an impressive beginning it is. 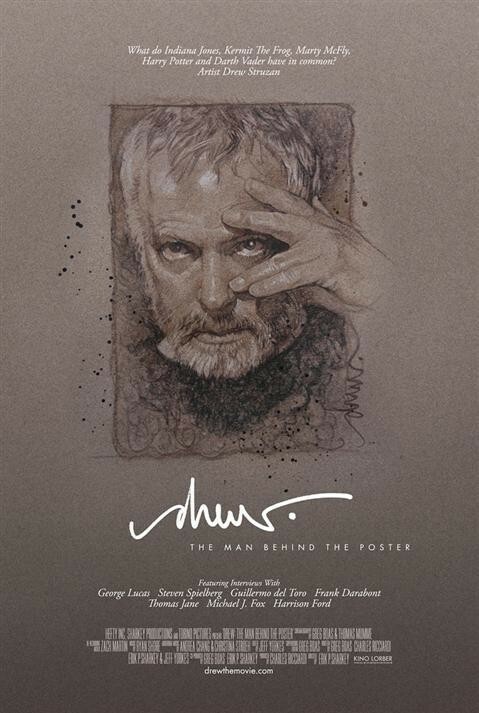 Review: I believe that part of being a balanced critic is to a) see most every film that comes your way and not just the latest blockbuster and b) being able to view a film for what it is and try to put yourself in the place of its intended audience. As a child of the 80s that grew up with action films featuring the headliners of these films, I was amped to hear they’d be brought together for The Expendables. When I finally saw the much-hyped film in 2010 I was awed by how ugly a film it was and how its one-joke premise stalled out before the first reel was done. Though 2012’s The Expendables 2 showed signs of improvement, it too faltered when it came to being more than the sum of its muscly, scar-tissued parts. 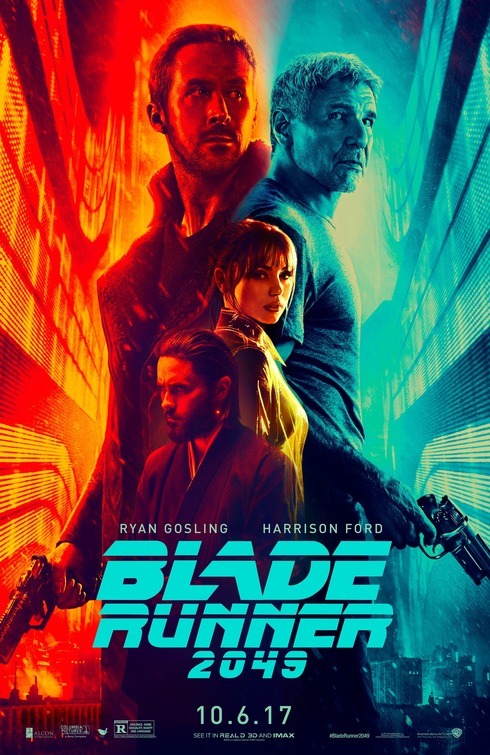 It would be great to report back that the third film of the franchise finally knocked it out of the park but it’s actually a step backward, proving that logic, decent effects, and convincing performances are the true expendables on display. 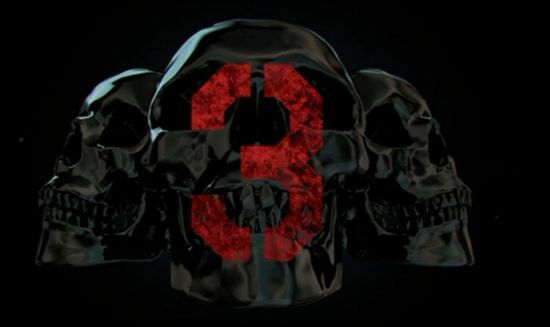 Clocking it at an astounding 126 minutes and devoid of the CGI blood that pushed the first two entries into silly R-rated territory, The Expendables 3 feels neutered into a PG-13. Nothing much happens and nothing is truly at stake for our rag-tag bunch of mercenaries and certainly not for audiences. At least its predecessors had a little bit of loss to overcome…here the overstuffed script just puts everyone through the motions while making sure that every one of the hardly recognizable yet oddly familiar action star faces gets at least one zinger in. Stallone (Escape Plan, and looking like he’s getting into character to play the title role for a live-action Droopey Dog) is as mush mouth as ever as the leader of The Expendables who are found as the film opens racing alongside a prison train to free Doc (Wesley Snipes). It’s one of the least exciting openers of any action film I’ve seen, though director Patrick Hughes tries to flash it up with a lot of flying fists, kicking legs, and a whopper of an explosion. 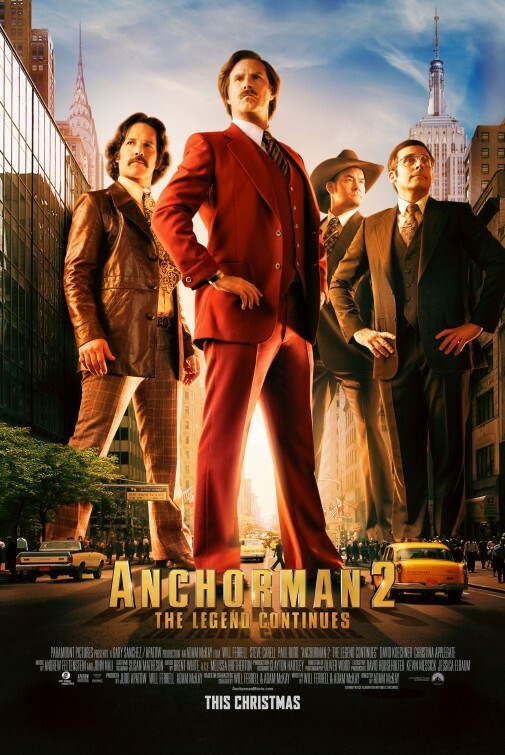 Hurtling into another mission that puts the crew face to face with a turncoat from their past (Mel Gibson, gleefully camping it up, whether you like it or not), Stallone and his men spend the rest of the film waxing nostalgic about the past, lamenting the fact that they’re getting older, and taking to task some new whippersnappers that are the next generation of Expendables…all the while being fired at by thousands of armed men that continually miss their shots. Shot in Bulgaria (and numerous cockpit sets that appear lifted from a mall arcade), the film isn’t as dreadful to look at as the first film but achieves a new dullness thanks to lame green screen effects (I’m positive several of the big name stars weren’t in the same room when they filmed their scenes) and a non-existent visual style that renders the film almost black and white. Everything on screen feels cheap, from the cardboard sets to the CGI effects…leading me to believe that most of the budget went to the star salaries. That’s not to say the film doesn’t have a few things that keep it from being total crud. Snipes is a refreshing addition to the cast and he gets a nice moment of self-mockery that you’ll see coming but still enjoy. While it may have been a coup for Stallone to land Gibson and Harrison Ford (Working Girl), their presence is more of a curiosity to see than anything really exceptional. Speaking of exceptional, Antonio Banderas (Haywire) should get substantial credit for nearly walking away with the film as a hilariously eager strong-arm for hire. The rest of the gang and especially the new recruits are better left unmentioned, lest they take it as encouragement to continue in their acting careers. 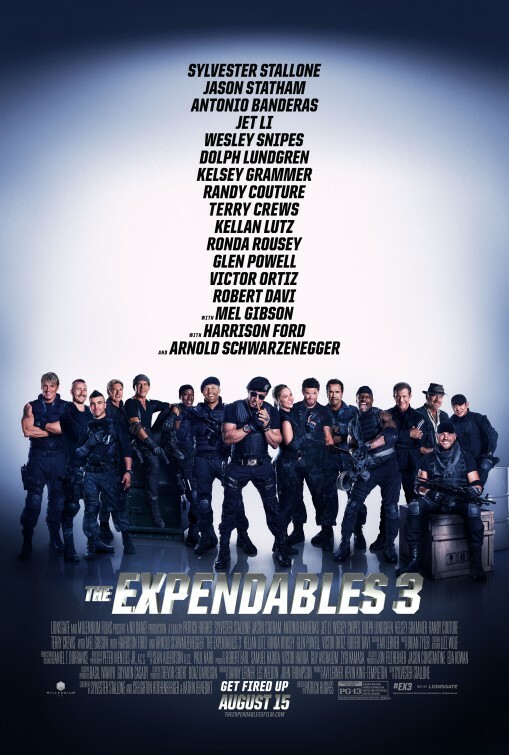 With a built-in audience I expect we haven’t seen the last of The Expendables…and as the film dragged on I started to think of names that could be tossed around to star in future installments. I’ll keep those to myself so I can check off my own personal list, but if the goal is to continue to feature faded names from the past…Stallone is just getting started. Synopsis: 70 years after a horrific alien war, an unusually gifted child is sent to an advanced military school in space to prepare for a future invasion. Thoughts: With the success of The Hunger Games, movie studios went thumbing through their local Barnes and Noble to see what other series were out there that they could turn into the next big franchise. Orson Scott Card’s young hero Ender Wiggin might be a nice answer to Katinss Everdeen and the first trailer for Ender’s Game hints at a film with high ambitions…and high stakes. Nabbing a doggedly choosy Harrison Ford (42) to star was a big coup for director Gavin Hood and it’s never a bad thing to have Ben Kingsley (so enjoyable in Iron Man 3) and Viola Davis (Beautiful Creatures) on hand should you need some extra gravitas. 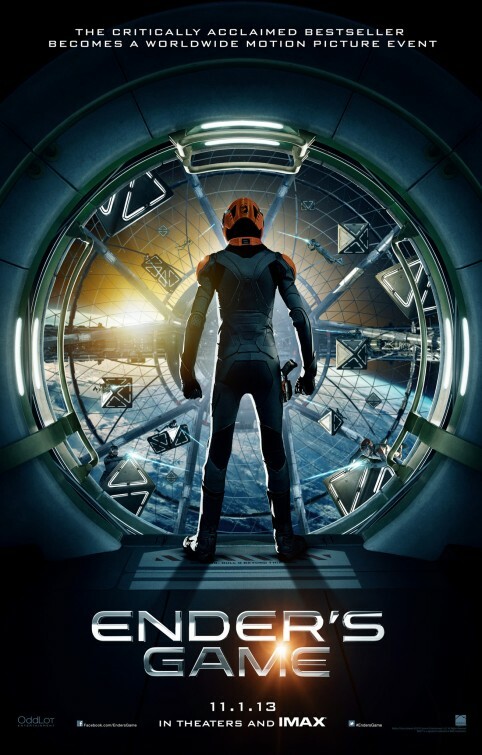 Will Ender’s Game be the beginning of something great…or will it be another non-starter? The film’s distributor, Summit Entertainment, also produced The Hunger Games so the outlook is positive.